All surfaced areas in this part of the world faces one common issue. 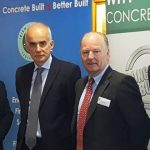 Whether the surface is paved with bricks, flags, concrete or asphalt all have to contend with the copious amounts of rainfall common to the UK and Ireland. One critical requirement to deal with this issue is Line Drainage… like ULMA Line Drainage systems from Killeshal. We cannot escape the fact that we get a steady amount of rainfall in this part of the world, regardless of the season. That could make it difficult to clear surface water efficiently from our streets, from our open civic spaces and from any surfaced area from car parks to aircraft pavements. Good line drainage systems are essential to the efficient removal of surface water from these areas. Killeshal provide a wide range of line drainage systems, designed to efficiently remove surface water from large areas quickly and safely. 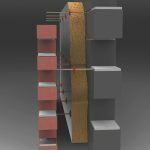 We have systems that are suitable for just about any type of traffic loading, including systems with narrow-slot heel-guard gratings to ensure safety in areas that receive heavy pedestrian traffic. The ULMA Line Drainage system is comprised of pre-fabricated polymer concrete channels with matched metal grating lids. 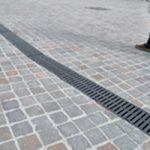 The lids and systems are available to cover just about any type of installation with load ratings from light pedestrian and light vehicular traffic up to the heavyweight F900 rating as used on Aircraft Pavements. Contact our team at Killeshal Precast to see how Line Drainage systems from Killeshal can provide an efficient surface water clearance solution to suit your project specifications.